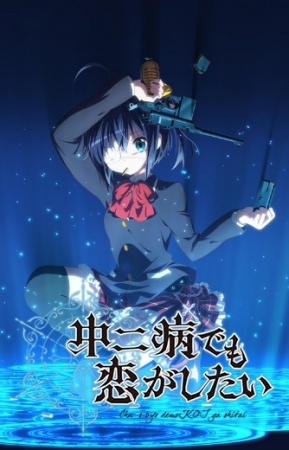 English Title: Chuunibyou Demo Koi ga Shitai! Romanji Title: Chūnibyō Demo Koi ga Shitai! Shinka Nibutani and Sanae Dekomori have a Public Bath scene. Yuuta Togashi ends up Skinny Dipping due to Clothing Loss in a Dream Sequence he has about Shinka Nibutani. Sanae Dekomori has a Bath while Shinka Nibutani and Kumin Tsuyuri finished taking one Off Screen. Shinka Nibutani bathed Off Screen. Kuzuha Togashi tells Yuuta Togashi that the Bath is ready and he has an Off Screen bath.